A fire in a Capitol Heights hotel was extinguished by the sprinkler system and an adult male was found deceased inside the room of origin. Initial alert to the incident came at around 6:15 am from an alarm company with subsequent 911 calls reporting smoke on the top floor of a 6-story hotel in the unit block of Hampton Park Boulevard. Firefighters made their way into the room and ensured the fire was completely extinguished and discovered the body of a 36-year-old male. 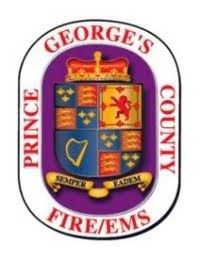 Personnel from the Office of the Fire Marshal conducted a cause and origin investigation and currently have the cause as “undetermined.” The County Police, as a matter of standard procedure, are assisting Fire Investigators until a cause of the fire has been determined. The investigation remains open and on-going. Fire loss was estimated at $5,000. A firefighter sustained a hand injury during operations and was transported to a local hospital for treatment. The deceased has been identified as Aaron Knox of Bowie, Maryland. A Medical Examiner will determine the exact cause of death.